2.2 Download and install the SQL Server Native Client - SQLNCLI_AMD64.msi - from the Microsoft SQL Server 2008 R2 SP2 Feature Pack. Note: If the Database Server and Instance does not populate the “Which SQL Server do you want to connect to?” field, check Windows Firewall is not getting in the way. Note: I always tick the box to increase the number of ephemeral ports available! 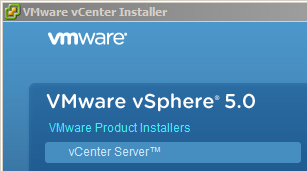 2.23 VC02 Is configured as per VC01 and steps 2.1 to 2.22, the only difference being that that installation of vCenter is done as Linked Mode!